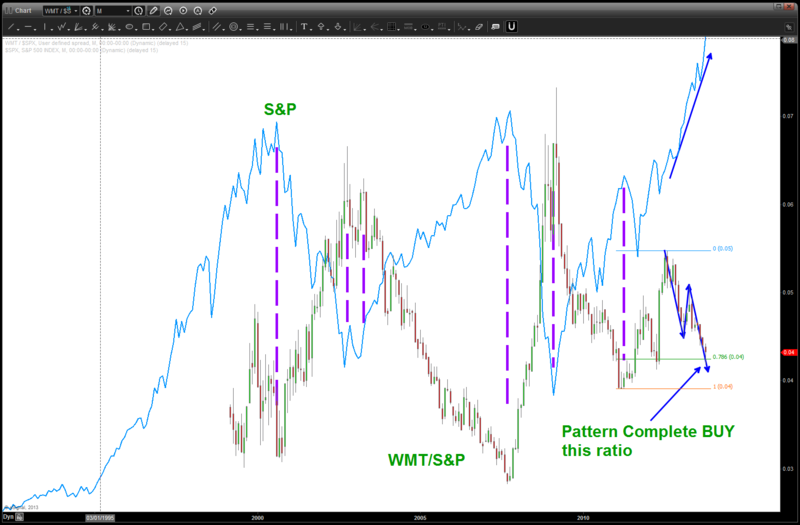 the pattern we have been looking at on the WMT/S&P relative strength comparison is complete ..
stay tuned, there are some tectonic plates shifting …. ← Cobra’s GATE … but use a stop for goodness sake! Thanks for visiting the site and, yes I am interested. I am using wordpress.com // it was pretty easy to set up and use. CHEERS to you also and thanks for visiting the site! this blog, this blog is really amazing. Appreciation to your father and thanks for visiting! THANKS for visiting the site and for the compliments! I read this article fully regarding the difference of hottest and previous technologies, it’s remarkable article. enjoy reading through your articles. Can you suggest any other blogs/websites/forums that go over the same subjects? THANKS and glad you are enjoying the content. Let me know if you have any questions. Hi friends, nice piece of writing and pleasant urging commented at this place, I am actually enjoying by these. thanks for visiting the site and taking the time to comment! thanks for visiting the site. great question on the conclusion .. right now, there is a very big divergence in the NYSE Index and the Staples/Ratio … as the market continues higher and higher this ratio should be going down. since it isn’t I tend to believe the institutions aren’t fully bought in. only time will tell. thanks .. sign up for an email if you want ! haven’t had any issues – yet. guess I will be hacked after typing that! honestly, I don’t know .. wordpress does it all. of this webpage; this blog includes amazing and really fine material in favor of readers. thanks for visiting the site and your comments! thanks for the commenta dn visiting the site! I’m glad to seek out a lot of helpful information here in the put up, we want develop extra techniques in this regard, thank you for sharing. thanks for visiting the site and rock on, ok? you are most certainly welcome …! thanks and tell your friends! thank you for visiting the site and your wonderful comments – make it a great day! ages and yours is the greatest I’ve found out till now. However, what concerning the bottom line? thanks for visiting the site … pretty sure it helps you mange risk.